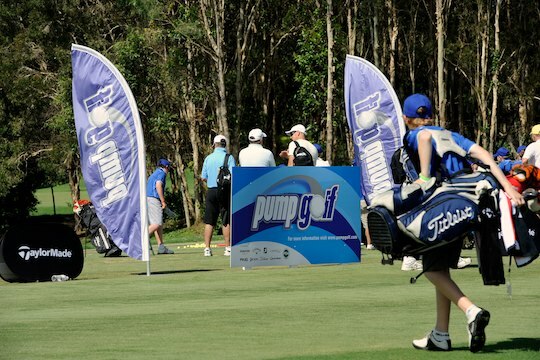 Once again golf clubs all around the country will have the opportunity to run one of the country’s most popular junior events – a Pump Golf Shootout. Last year saw almost 160 golf clubs throughout Australia host a Shootout event, with well over 2,000 junior golfers taking to the fairways to compete at their local event. The Pump Golf Shootout events are designed to give junior golfers of all ability levels the opportunity to compete in a fun event via a 9-hole competition held at the local club level. Scratch and Net winners from each local Shootout then go into the draw to win the “trip of a lifetime” to the Pump Golf Junior Festival. The staging period for events this year will begin on 8 April and will run right through until 10 October, 2011. This covers two school holiday periods and allows flexibility of dates to fit in with various club junior programs and skills challenge periods run through My Golf (Golf Australia program). Winners of both the Scratch and Net competition from each local shootout event are entered into a major prize draw where 80 lucky juniors will win a spot at the Pump Golf Junior Festival of Golf. The draw is conducted at the conclusion of the staging period in October.